Why Choose South Bay Ford Commercial? Although the F-Series has been around as far back as 1948, what we now know as the Super Duty line only started production as recently as 1998 for the 1999 model year. There's no doubt about the incredible versatility and capability offered by the phenomenally successful F-150, especially since its complete redesign in 2015, but sometimes you just need something bigger, more powerful and more capable. The 2017 Ford Super Duty F-450 certainly fits the bill as the most capable model offered in the current Super Duty family. 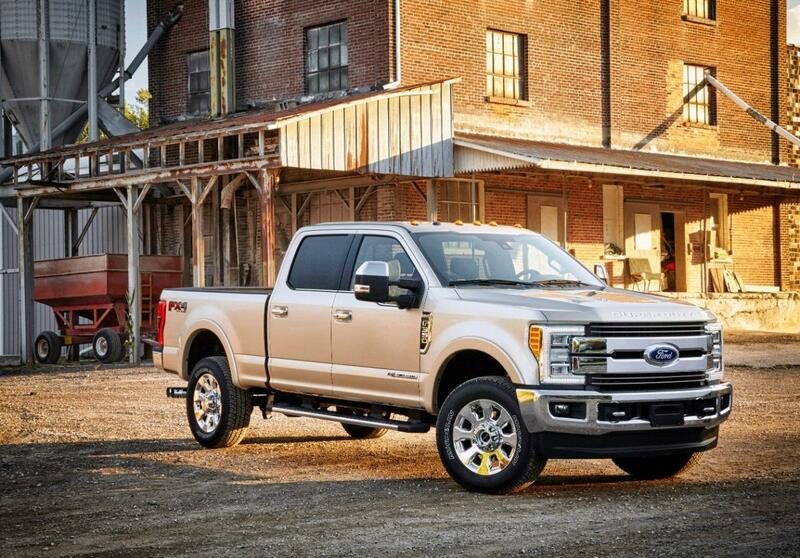 The F-150 was definitely the trailblazer for the Ford truck family when its body went all aluminum on us back in 2015, but this year has seen a complete redesign of the Super Duty so the F-450 has now also been reinvented in aluminum. Even after the F-150 was converted so successfully to aluminum, there were some out there who thought the Super Duty line couldn't be adapted with similar success. Well, now that it well and truly has been, who's really surprised the Blue Oval has managed it? The exterior of the 2017 Ford F-450 has seen the macho grille dialed down a little into something that looks a little more subtle. The twin horizontal "power bars" of the F-450's face are now closer together and have Ford's signature C-shaped headlights at either side. They're also not surrounded by chrome as they were before, although there's still plenty of chrome elsewhere. There's a robust "Super Duty" logo stamped into the hood, which will leave an unmistakable calling card of an imprint in the structures the F-450 looks more than capable of driving straight through. The F-450 definitely looks the part, but it's not a radical departure from its predecessors as there's really only so much a manufacturer can dare to do with such a successful vehicle line. The frame of the F-450 is now made of 95 percent high-strength steel, which is said to translate into it now being as much as 24 times as rigid as the underpinnings of the previous model were. The "military-grade" aluminum that's now used for the cab body of the F-450 is more resistant to dents and dings than the previous steel body, but the main benefit of aluminum instead of steel is the weight reduction if offers. The new materials have managed to reduce the overall weight of the truck by around 350 pounds, which increases capability and fuel efficiency. The 2017 F-450 now boasts a best-in-class towing capacity of 32,500 pounds, and a maximum payload of 5,320 pounds. There are five trim levels of 2017 Ford Super Duty F-450, which start with the workmanlike XL and then go to the XLT, Lariat, King Ranch, and the Platinum. The F-450 is otherwise pretty straightforward with all trims being Crew Cab and 4x4 only, and all versions coming with eight-foot beds. There are two outstanding engines that are the foundation for all the F-450's stunning capability. They offer the entirely predictable and totally appropriate options of one being diesel and the other gas, but they've definitely got all those heavy-duty bases covered. The gasoline unit is a 6.2-liter V-8 putting out 385 horsepower and 430 lb.-ft. of torque, which will be more than enough for all but the most demanding applications. But if the gas V-8 isn't enough for your needs, the 6.7-liter Power Stroke V-8 turbo diesel really does up the power ante with 440 horsepower and a quite staggering 925 lb.-ft. of torque.